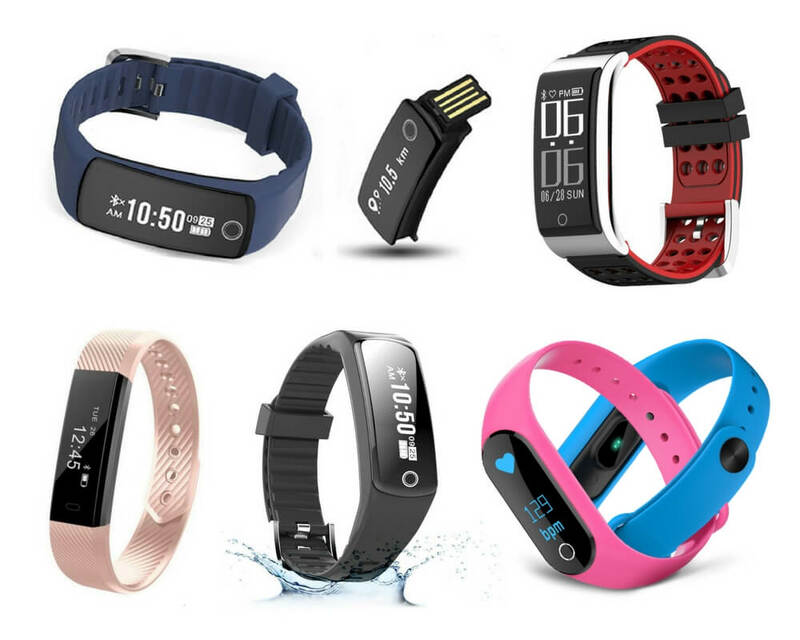 How to choose a fitness tracker that suits each lady best? So what Fitness Tracker type woman are you? An active lifestyle and regular exercising have lately become a super trendy habit. We prefer some tiring gym workout to a tea mug with cookies in our cozy armchair at home more often than not. It helps to beautifully transform our body into a more attractive, sexier and healthier one. No doubt, a modern fitness device is a must-have here. The little technology wonder is always by our side, gathering and processing the most critical body functioning information and then demonstrates us the result. The task has proven to be quite tricky with all kinds of possible colors, shapes, quality, and prices. 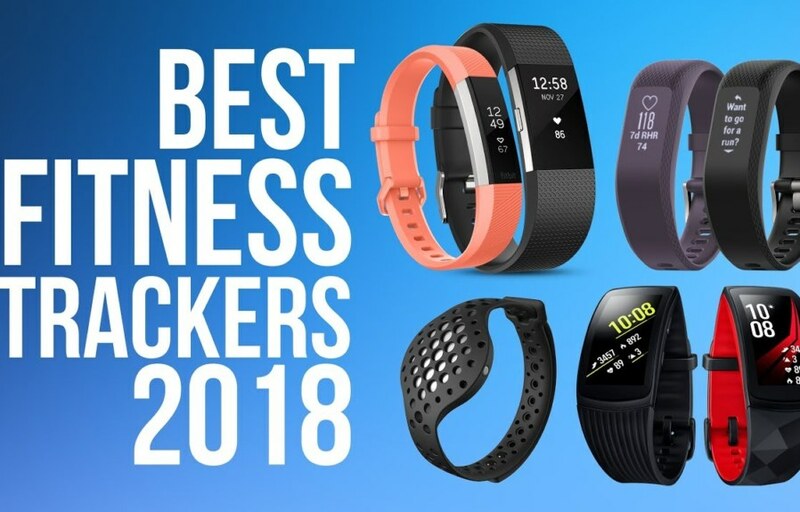 In this review, we demonstrate the ten truly special fitness trackers for ladies 2018. Our top list was created considering both customers and experts opinions. Let`s begin with smart jewelry. 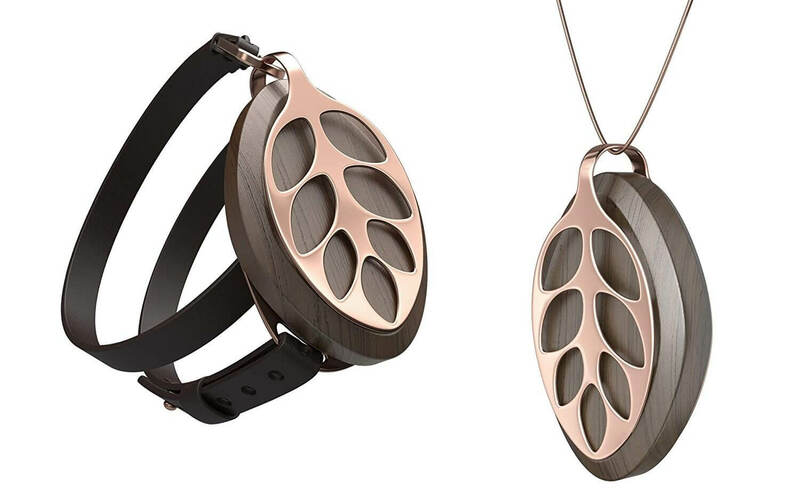 Elegantly beautiful Bellabeat’s Leaf health tracker is a piece of art. It looks terrific either as a brooch or bracelet; some ladies wear it as a necklace as well. Both color options, silver, and rose gold are very delicate and purely feminine. Be careful though; if your casual items of clothing are most sports and a dress is something you wear only once or twice a year, you should look for something else. Ladies love Leaf; its first batch was sold out within just two days. The device records all the most important fitness data, such as your menstrual cycle, activity and sleep quality, it recognizes stress levels even. When it comes to stress and overexcitement, smart Leaf will vibrate to remind you it`s time to cool down and relax. Moreover, it will let you know when it`s time to be more active. Install the Bellabeat app for more useful offers fitness bits of advice. Garmin Vívomove. The Rose Gold version. This elegant classic watch with the activity tracker is adorable. Pure delicacy. And not only because of its stylish design. 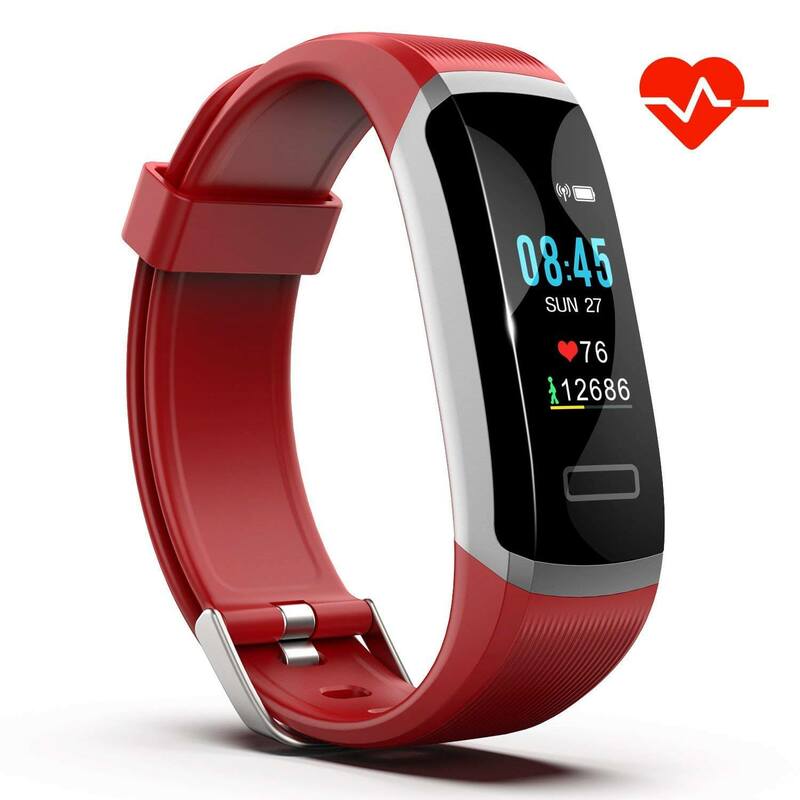 The red indicator on its face shows your activity, accurate number of steps and sleep quality as well as actions, calories, distance and intensity minutes. Automatically synchronized with Garmin Connect app to save your data, plan workout, receive smart notifications, control music, and compete or exchange data with other Garmin users. Vivomove monitors you instantly, and you do not have to compromise fashion for function no matter which style you prefer – business, casual or sports. The device will help you to manage stress with its all-day stress tracking and relaxation timer. 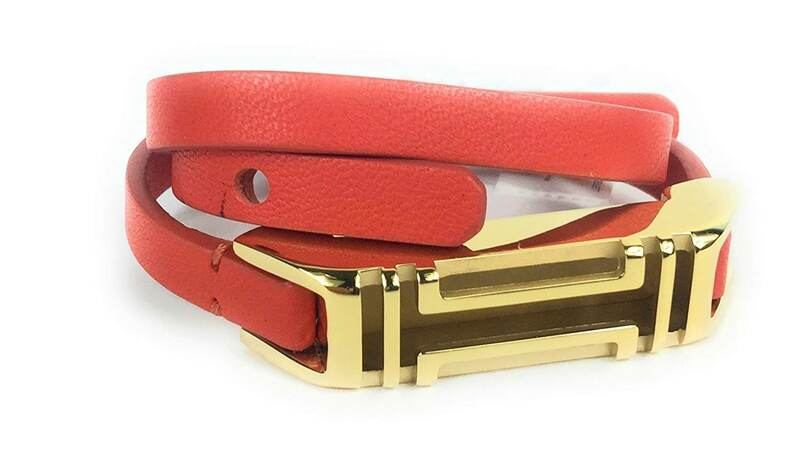 Tory Burch, a designer, created a set of accessories for fitness tracker Fitbit Flex transforming the functional device into an essential everyday style element. Ladies appreciated it, of course, as the choice of making the smartwatch personalized and stylish is incredibly rich. You may select from latten pendant and bracelet to several brightly colored and silver silicon bangles as well as some leather ones. Steps, calories, distances, activity times and sleep quality and duration will be tracked like in most fitness running watches. Besides, Fitbit charges easily and is waterproof. Your health data will be synchronized wirelessly with PCs and Macs and exchange information directly either with iPhones or Android devices. LEDs light up will celebrate your way to daily goal reaching. Akuti Fitness Tracker is especially attractive in a cherry red version. It looks far more premium than a $26 price. This willful technology item monitors different sporty modes; it will also send you smart notifications like messages and calls. 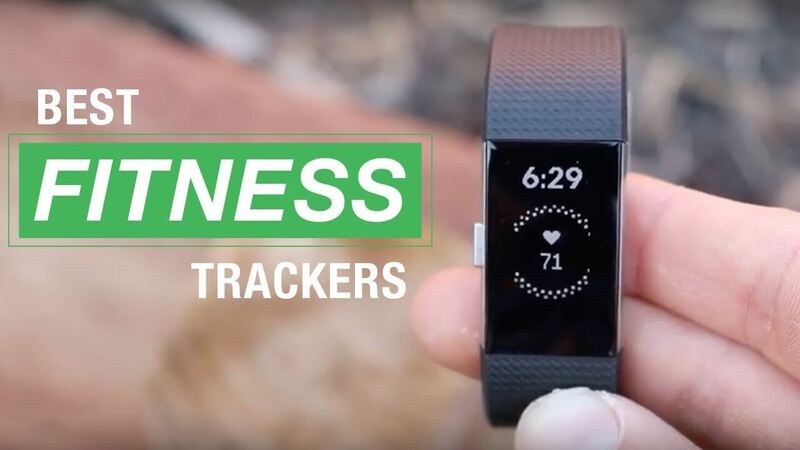 The fitness tracker records your sleep patterns as well as the calories burned, or distance walked. Its instructional manual is straightforward to follow in 4 languages. You will undoubtedly like the simple screen, not overcomplicated with hundreds of details and functions, has built-in GPS. The automatic heart rate sensor monitors your heart rate all the time without manual measurement. Your heart rate indicates your fitness level to help you adjust breath. It does everything effortless but also very very well. If you prefer minimalism and good quality be sure you are going to enjoy using smart Akuti Fitness Tracker. Looking for a subtly jazzy fitness tracker that puts many features and performance right on your finger? Consider Motive Ring, one of the smallest fitness trackers available. Although it looks a bit heavy on delicate ladies hands, has only IOS support and rather basic fitness stats, the device is safe for swimming, the wise design makes it comfortable for all-day wear. Ultralight Titanium Motive Ring monitors heart rate, active minutes, steps, calories, and your sleep. The battery life lasts for three days, and it charges in 90 minutes. A keychain charger provided. A well-designed app gives more reasons to stay motivated and enjoy. 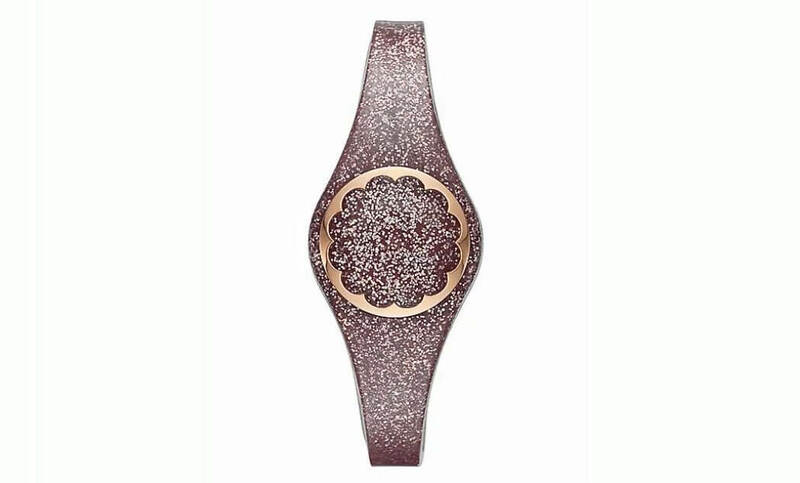 The cutest personal cheerleader looks like this – Kate Spade New York rose gold glitter activity tracker. It synchronizes with the “Kate Spade New York Connected” app and serve as your super motivator, celebrating each successful step and keeps you stylishly organized and wisely ambitious. Your actions and sleep will be tracked as well as some other healthy habits; you will set and move towards the goals, countdown to life`s happiest events and be inspired every single day. This chic and functional item lets you control music, receive essential alerts with light notifications, take selfies even. Half a year of use on a full charge is quite an advantage. You may not like that there is no display, and you have to go through the app, but it looks so cute with casual or party outfits! You do not need to take the bracelet off to charge it. The pedometer control is not the most precise, but the sleep tracker is great. Kate Spade fitness tracker is not for crazy athletes but for those who prefer to look pretty while tracking their steps and sleeping habits. The LETSCOM Fitness Tracker is one of the most affordable Bluetooth tracking bracelet in our list. 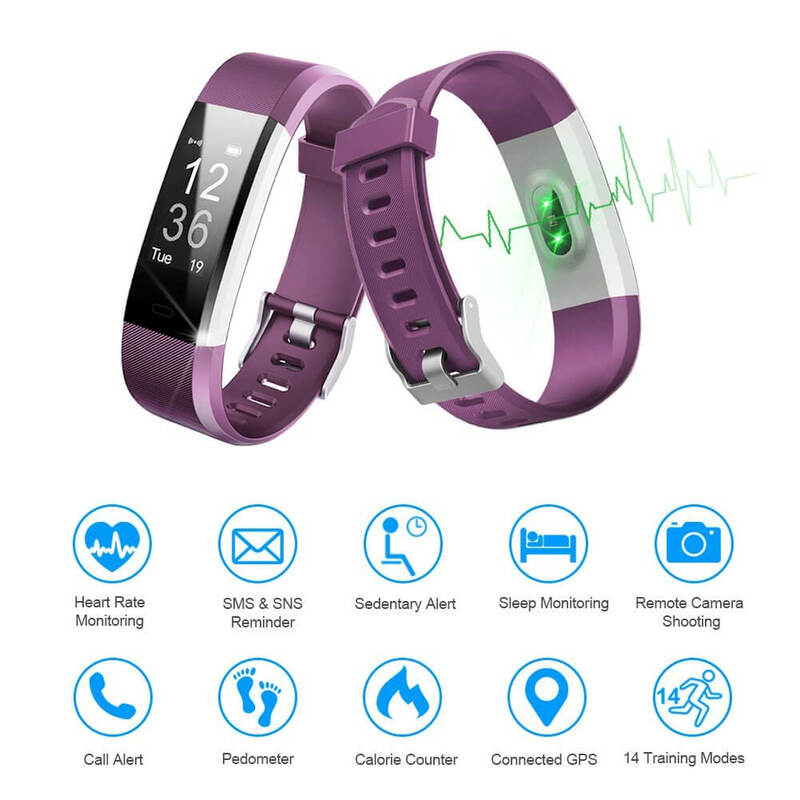 It has pretty same features as famous and popular activity trackers – calories consumption, the distance you have walked, a map of your practice session, heart rate, active minutes and sleeps quality, touch screen switch, goal complete and anti-lost alert, etc. You won`t miss any important messages and notifications as they displayed on the screen. It is also straightforward to charge, and the battery lasts up to 10 days of working time – smart, right? The design is modest and cute with several color options, it is made of a soft rubber or silicone band and fits your wrist comfortably. What about this colorful sports smartwatch by Symfury? The bracelet fits your hand comfortably and welcomes to explore your health data, tracks your runs, driving, sleeping or even swimming. The device is waterproof, compatible with both Android and iPhone; it has all the essential characteristics plus a pedometer, 12 sports mode record and four quiet vibration alarm to gently wake you up. It`s fun to try multi-exercise mode like Jumping Jack, Table tennis, Badminton, etc. Health data chart is easy-to-understand so that you will recognize your physical fitness status. When it comes to calls or urgent messages, you will hardly miss them while in the meeting, classroom or taking a shower. The device will gently vibrate to let you know. The battery charges with USB for half an hour and works for three days with seven days standby time. No need to remind that you also need to install an app for more performance. 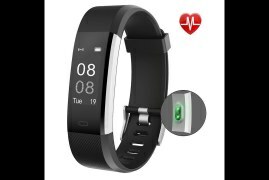 Symfury fitness tracker community uses &quot; Smart Wristband&quot. Bored with colorful, trendy fitness trackers and looking for something decent to match your elegant business dress? Something Swiss-made and French designed? 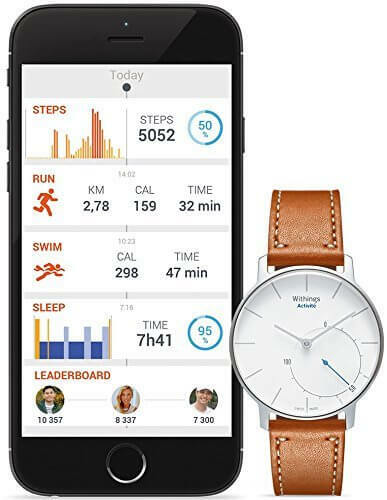 Withings Activité may be your perfect choice with its traditional face, calf leather, stainless steel, sapphire crystal. This vintage looking fitness watch for women is waterproof so apart from monitoring your sleep, steps, and activity, swimming is also on the list. Having a step goal for each day? Its percentage will show on a small second dial. 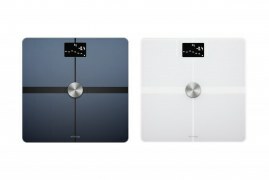 Curious to challenge and compete with your Withings friends in losing weight or being more active? Install the Health Mate app with simple and clear graphs. Like a caring friend, it will encourage you to drink more water and go to sleep in time; it also awards badges if you are “behaving well”; when reaching your fitness goals. Swarovski silver bracelet with a sapphire as an activity tracker wrapping? Why not! This smart piece of jewelry by Yocgem is to monitor your health and take care of your active lifestyle with essential reminders. It will look awkward in a gym but more than appropriate in events where sports stuff is out of place, some fancy dinner or dance party. Talking about going out, with the smart bracelet you can control remote photograph shooting. Sounds is fantastic. Yochem activity tracker records steps, distance, and calories in the app. The sleep quality monitor will help to improve your night rest. Anti-lost and SOS for help functions are also precious. Its applicable equipment is quite costly and includes either Android or IOS. Enjoy tracking your progress like a Diva! Even if you have been spending your free time on the sofa for years, but dream of beautiful body shape, don`t lose hope! Fitness trackers made the long and tricky process much more comfortable. How come? Modern technologies are developing super fast, our lifestyle improves. We used to count calories in special programmes on our PC`s; they moved to smartphones later together with apps monitoring our sleep, distance and heart. It is not always convenient to keep our smartphone close. Moreover, the holistic approach requires that all the critical activities are united in one device. Fitness bracelets and trackers appeared precisely for this purpose. Needless to say that professional devices for sport have existed for many years. But they are often not easy-to-understand for an amateur. That is why their mass distribution never happened. 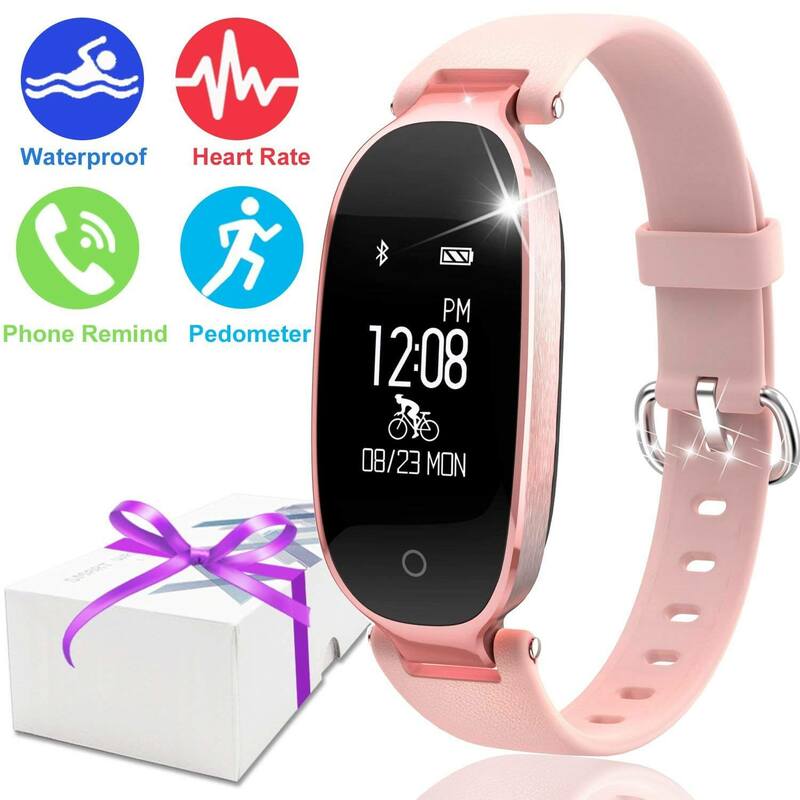 Fitness trackers age, on the contrary, gives everyone the opportunity to start a healthy lifestyle with one`s eyes open and finally get so desperately desirable body shape. Everything is easier now. 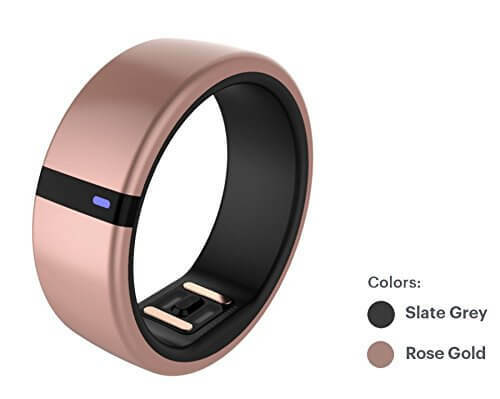 You put a bracelet on your wrist or fix the device as a pendant on your chest, or even your finger, like Motive Ring, install the app, and that`s that. You are just supposed to live a life, and the little device will track everything important, combine and analyze helping you to understand which path to chose next. How to choose the most appropriate fitness tracker depending on your budget, lifestyle and fashion sense? As we have mentioned earlier, you are lucky to have a rich variety of devices to pick up from especially when it comes to ladies fashion. Each tracker is different but most record steps, calories, sleep, and heart rate. Mind there are two types of tracker – all-day and training ones. The first type tracks all activities in a given day including the number of steps; stairs climbed, your workout duration, and hours of sleep of course. All-day trackers can be super cheap, we have mentioned two models in our list costing only 20-30 dollars. Yet, the most reliable and accurate trackers` prices start at around $100. A training type of fitness tracker gives you even more functions, monitoring your speed, altitude changes, offer music and camera controls. Be ready to pay $100 minimum for a device like this. When it comes to ladies` fashion priorities, there is no better advice like to try the device on before buying. In the great variety of styles, shapes, materials, and colors you need to be sure it matches you perfectly. Consider compatibility; it`s essential as the device is almost useless when it cannot work on your smartphone or PC. Some models are designed only for IOS, others just for Android. Do you need a waterproof or at least water-resistant health tracker? Be sure the model you want has this feature. Not every device designed for swimming workout plans. You should also decide which kind of display you prefer. 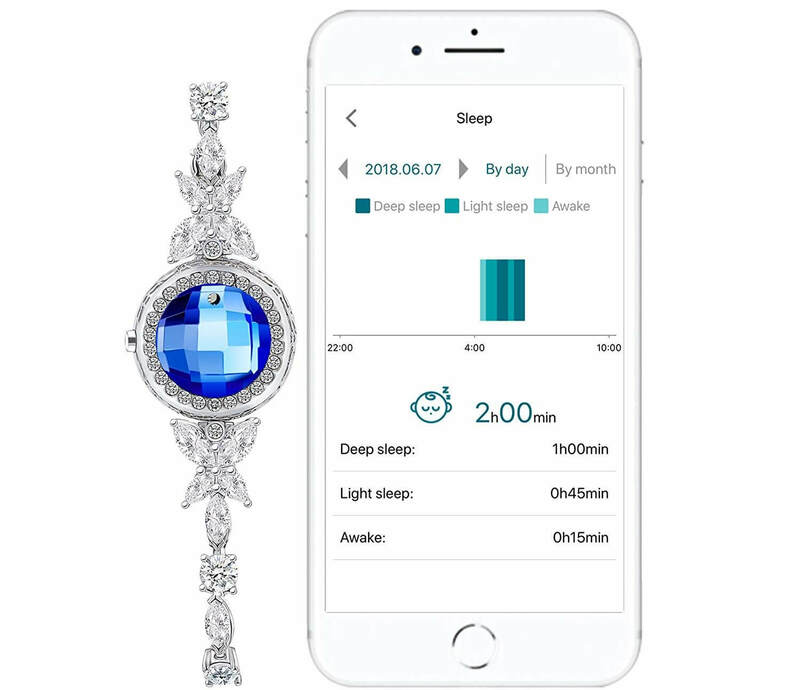 It is more elegant to have a sapphire instead of a screen with data on your wrist, yes, but sometimes it is so precious to see the information in real time, not only when using the app or analyzing your progress on PC. What about battery life? Some last only a day, others several months. Look for this specific feature beforehand to avoid disappointment. Choosing the best fitness tracker for a woman does not mean to be a super difficult task. Using some guiding information to buyers and figuring out your personal preferences is quite enough. And if you pressed in time, trust one of the top reviewed models. Good luck! Enjoy improving your health like a real woman – in style! Actually, I adore white accessories. Especially when they are not only beautiful but also useful! 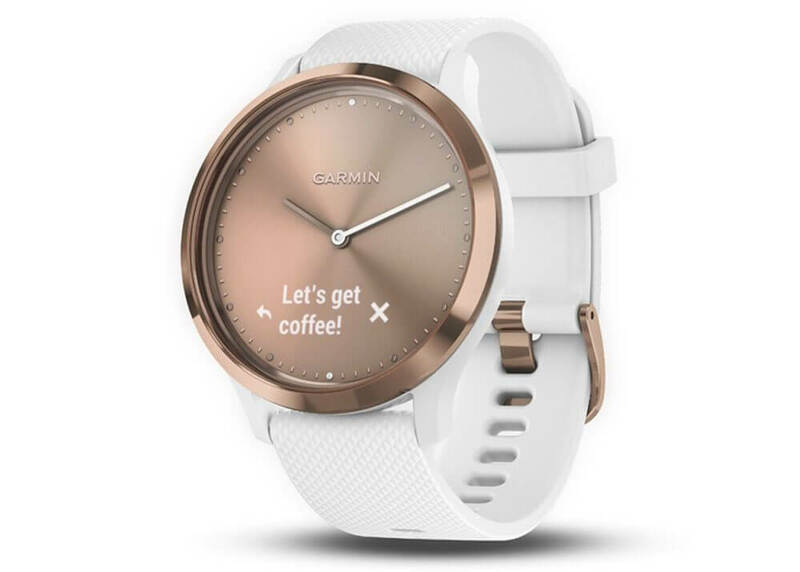 Garmin vívomove HR Sport Hybrid Smartwatch – Rose Gold, S/M is just perfect little thing for every woman! My husband presented me this amazing fitness watch for my birthday. I was so happy to get such an adorable gift. It helps me during my fitness routine and in everyday life as well.